Travel to see the 2019 MLB All Star Game in Cleveland, OH at Progressive Field! Buy Travel Packages including hotel accommodations in downtown Cleveland, great Baseball All Star Game Tickets for the All Star Game, and Home Run Derby. Experience the Best in Baseball play in 2019! Travel to Cleveland, OH for the MLB All Star Game at Progressive Field. This is the ultimate baseball fan tour. Experience the Futures, Home Run Derby, and All-Star game. Stay close to the best of Cleveland! 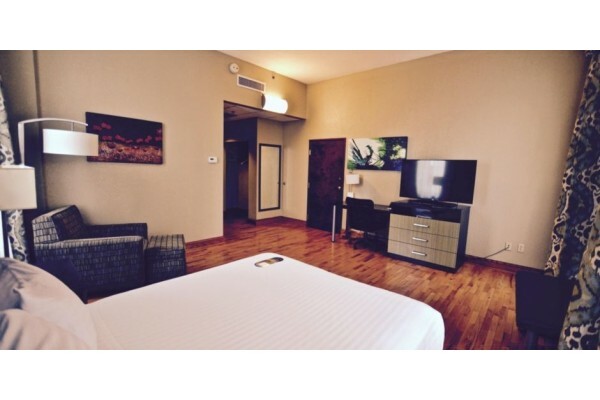 Enjoy lodging in the heart of the action in downtown Cleveland. 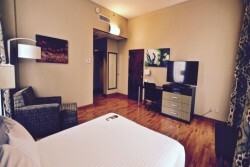 We offer the best hotel options for you to experience and enjoy all that Cleveland has to offer. 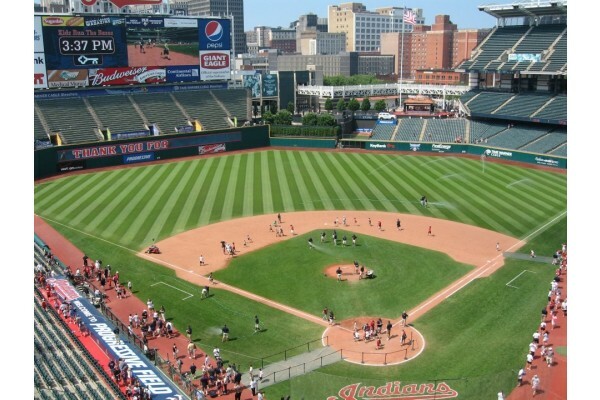 Enjoy all that Cleveland, OH has to offer before the MLB All-Star Game. Cleveland is the perfect family vacation location! Enjoy some of the country's top restaurants and attractions while visiting for the most exciting weekend in baseball! Stay only 4 blocks away from Progressive Field during the MLB All Star week and enjoy being close to the ballpark, restaurants, attractions, and nightlife. Attend the Futures All Star & Celebrity Softball Games on Sunday, Home Run Derby on Monday, and All Star Game on Tuesday with guaranteed reserved tickets at Progressive Field. The 2019 MLB All-Star game is being hosted at Progressive Field in Cleveland, OH. Progressive Field has been the home of MLB’s Cleveland Indians since 1994. 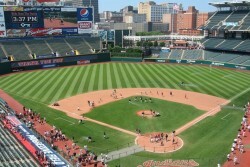 The ballpark is located in the heart of downtown Cleveland in the city's entertainment district. The MLB All-Star game pits the best players from baseball’s American League and National League against each other. The winner of MLB All-Star game no longer receives home field advantage for their respective league in the World Series. World Series home field is now determined by individual team record. Previously in the 2017 All-Star game in Miami, the American League defeated the National League 2-1. The 2017 ASG MVP was awarded to the Seattle Mariners Robinson Cano. The weekend includes multiple festivities ranging from the actual All-Star game itself, all the way to the Home-Run Derby held the night before. Other events also include the All-Star Futures game held on All-Star Sunday and the All-Star Legends & Celebrity Softball game. This year’s MLB All-Star game is hosted out of the home of the Cleveland Indians, Progressive Field. Unique features of the ballpark include a unique playing surface that utilizes authentic Kentucky Bluegrass in order to generate a premium playing surface. The ballpark also features a built in park, "Heritage Park" which includes a designated picnic area and plaques which honor legendary Cleveland players and historic moments for the ballclub . The park's outfield was designed to offer fantastic views of the Cleveland skyline,a key aesthetic feature when the park was designed. 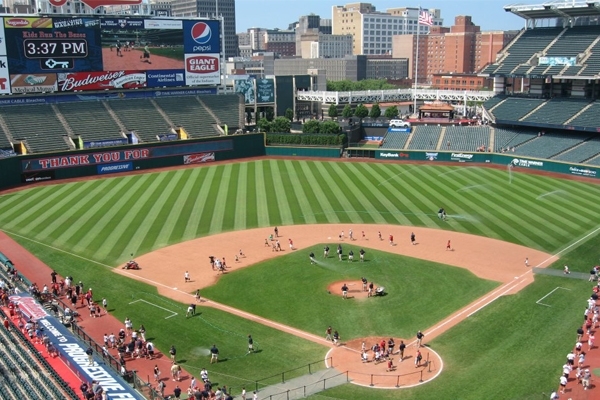 While exploring Progressive Field you may start to notice similarities to other ballparks such as Camden Yards in Baltimore and Fenway Park in Boston. Progressive Field even features a "little green monster" in the outfield. The reason for these similarities is because of the overall design concept of the park, "retro-modern." The park also borrows imagery from its hometown including heavy use of steel beams and light fixtures that look like smokestacks, two concepts that play into Cleveland's role as an industrial powerhouse. What to do in the local area? "Cleveland Rocks" is a common phrase uttered by most people who are lucky enough to have visited this action-packed city. Cleveland is a true musical and foodie destination with many cultural institutions that are worth visiting. Local favorites in the area include the legendary Rock & Roll Hall of Fame located on the shores of Lake Erie. The Rock & Roll Hall features countless pieces of music memorabilia and rotating exhibits highlighting some fo the greatest rock bands to ever perform. Other notable landmarks include the Cleveland Museum of Art, the Cleveland Arcade, and the "Christmas Story" house. You can also visit the other professional sports teams in the area including the Cleveland Cavaliers at Quicken Loans Arena and Cleveland Browns who reside at FirstEnergy Stadium.